Great Divide Brewing Co. is the vision of Brian Dunn, who during the late 1980’s, spent five years outside of the United States building farms in developing countries. Dunn had a passion for beer, and upon returning home to Colorado, started home brewing and graduated from college. Dunn thought that he could start a brewery in Denver, and with help from family, friends, and a loan from the city, Great Divide started producing beers in 1994. At first, Dunn was the only employee — but his beers were outstanding, winning medals at beer festivals and catching attention by word of mouth. Things got big, and today Great Divide has 45 employees, and has won seventeen Great American Beer Festival medals. 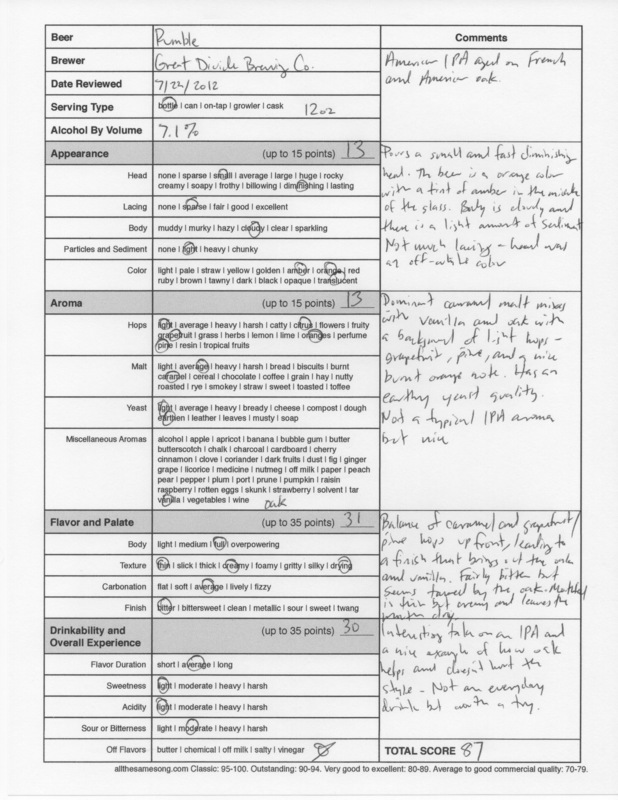 And this website happens to think they make some tasty beer, so when Rumble, their oak aged IPA was on offer, it simply had to be reviewed. 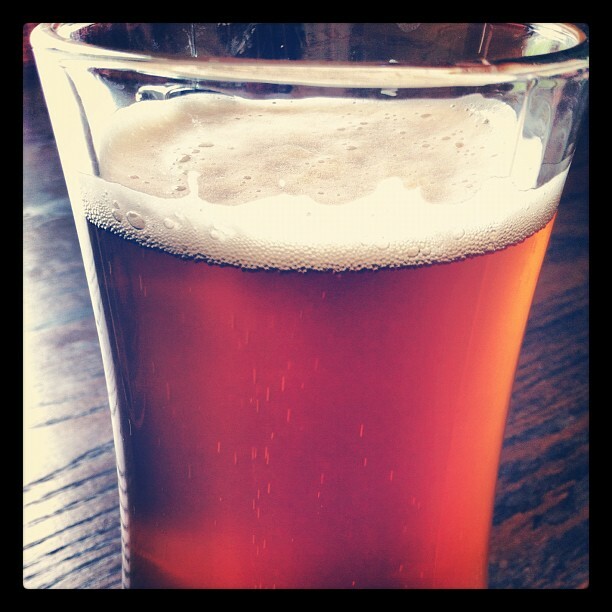 The beer pours a small and quickly diminishing head, orange in color with a hint of amber in the center of the glass. The head was an off-white color, and this looked great in the glass. The body was cloudy and there was a light amount of sediment present suspended in the liquid. Lacing was sparse, and the glass was virtually clean when I finished sampling. The aromas featured a dominant caramel malt, mixed with vanilla and oak upon a background of light hops — grapefruit, pine, and a nice burnt orange. There’s an earthy yeast in there, too. 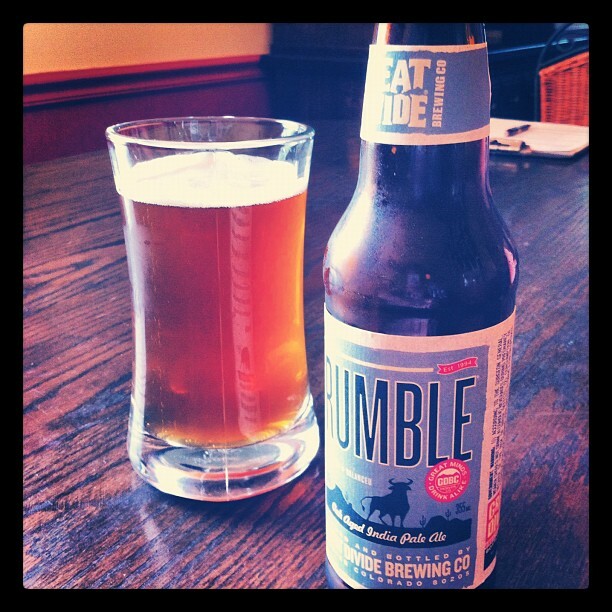 This is not a typical IPA aroma, and not only is Rumble interesting to the nose, it’s a friend as well. I noticed as the drink warmed, the aromas leaned more to the oak and had a slight note of sweet cookie dough. On the sip, there’s a nice delicate balance of caramel and grapefruit/pine hops, leading to a finish that brings equal oak and vanilla cannons. There’s a fairly bitter kick after the swallow, but it seems tamed by the oak, which lends an almost toasty or burnt flavor. Mouthfeel here was thin but creamy and it definitely has a drying effect going on. You wouldn’t want to drink this to feel refreshed. And this beer doesn’t have an especially high ABV (alcohol by volume), at just 7.1%, there is no alcohol presence at all, taste or aroma. Rumble is an interesting take on an IPA, and having other India Pale Ales that have had an oak treatment, I can say this is one of the better ones. I typically find that oak tends to hurt the IPA style more than help, but the wood adds a nice layer of complexity and helps the beer here. I wouldn’t want this every day, but it’s worth a try if you see a bottle, and I’d buy it again. 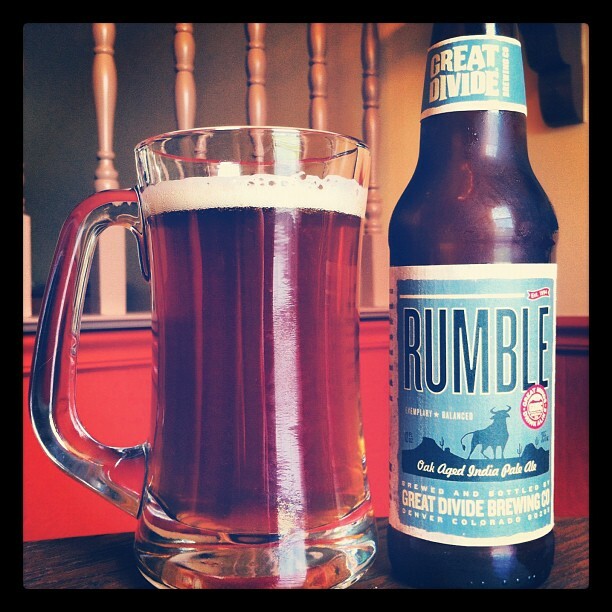 Great Divide Rumble Oak Aged IPA, 87 points. Price: $1.99 US for one twelve ounce bottle.